It's awfully nice to be able to enjoy sitting outside when it's warm out in your backyard or patio. 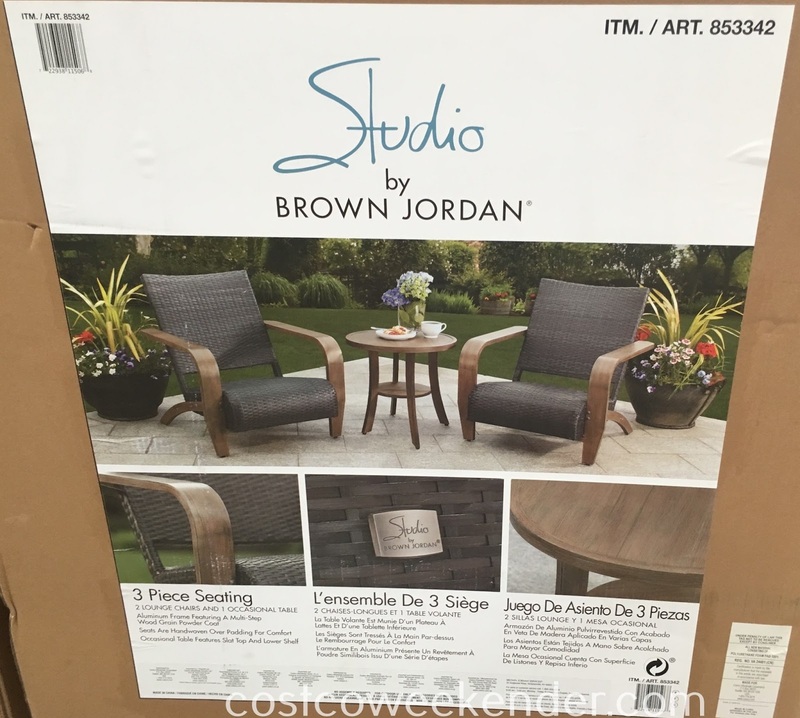 That is why the Studio by Brown Jordan 3 piece Adirdondack Set from Costco would make sense for anyone whether you're barbecuing something on the bbq, reading the newspaper, or just enjoying a cup of coffee in the morning. It features two seats, so that you don't have to be alone and someone can keep you company. 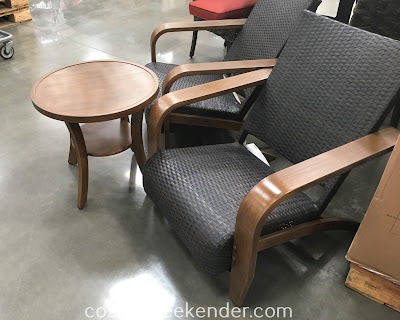 The little table can be used to put your coffee, cocktail, tablet, or book while your out there just lounging. 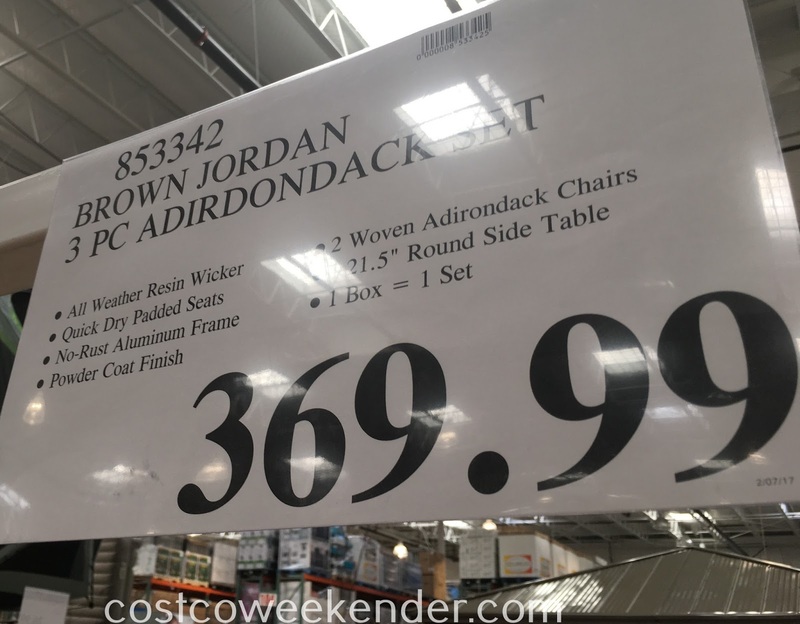 If you get the Brown Jordan 3 piece Adirdondack Set, you'll have more of a reason to use your backyard and patio a lot more.